Help consumers get their hands on a sticker! 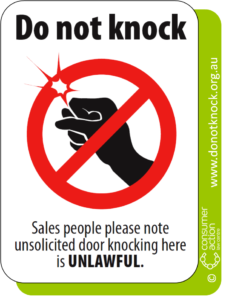 Want to help distribute Do No Knock stickers to your friends, neighbours, clients or contacts? Stickers are now being distributed by state and territory consumer affairs departments – you’ll need to contact them directly to check their policy on how to order a sticker. See our Get the Sticker page too, as we will publish a list of anywhere we know you can order a sticker. 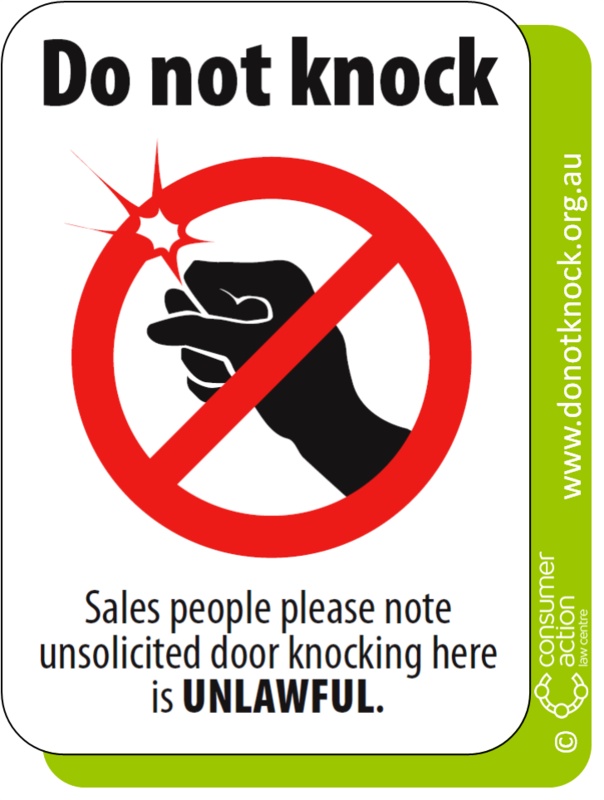 If you have a large supply of stickers and would like to be listed as a pick up spot, send and email to campaigns[@]consumeraction.org.au. Use the same address to let us know if you no longer have stickers and want to be removed.